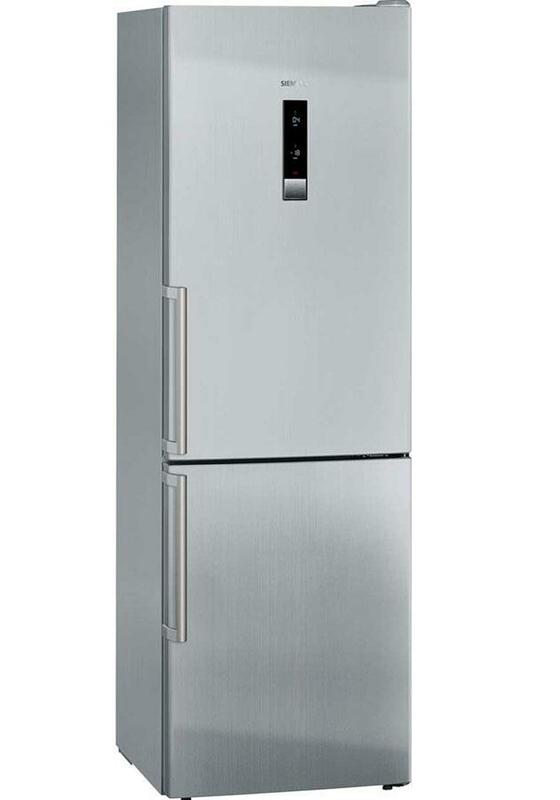 The Siemens iQ500 KG36NHI32 NoFrost bottom freezer with A++ rating and MultiAirFlow Cooling. This fridge freezer features Siemens' hyperFresh drawer which allows fruit and vegetables to stay fresher for 2 x longer due to the built in humidity control. This Siemens fridge freezer features a Airfresh Filter with anti-bacterial properties that works to neutralise odours inside the fridge. This also blocks out any bacteria in the air ensuring that your food remains fresh for as long as possible. This fridge freezer also features MultiAirflow cooling that actively circulates the air in the interior to help reduce temperature fluctuations so cooling times are reduced.